Many, many thanks again …..
Hi Lucy…sorry for e-mailing on a Sat night but I’m just bursting to let you know how your book has changed our lives!!! I discovered last night that we have a new taoiseach and that the UK are leaving the EU!!! I started both your sleep training and night feed weaning our gorgeous baby girl S last Sunday night and every night since about Thursday I’ve seen the 9.00 news…last night I think she slept right through the night…i know I did!!! Many, many thanks again …..
Can’t recommend the book enough. 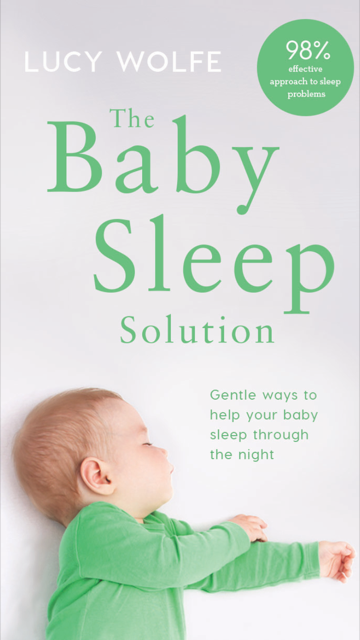 We have O sleeping 10.5 to 11 hours after reading your book, we did the stay and support method and for the last 3 weeks we have a new child so we would like to say thank you so much for all your help………..
Just to say, the book is fantastic. From a very happy Mommy…..